Our teachers are the foundation of the school and work collectively to devise study programs that meet Victorian and national curriculum standards and are unique to our particular setting. 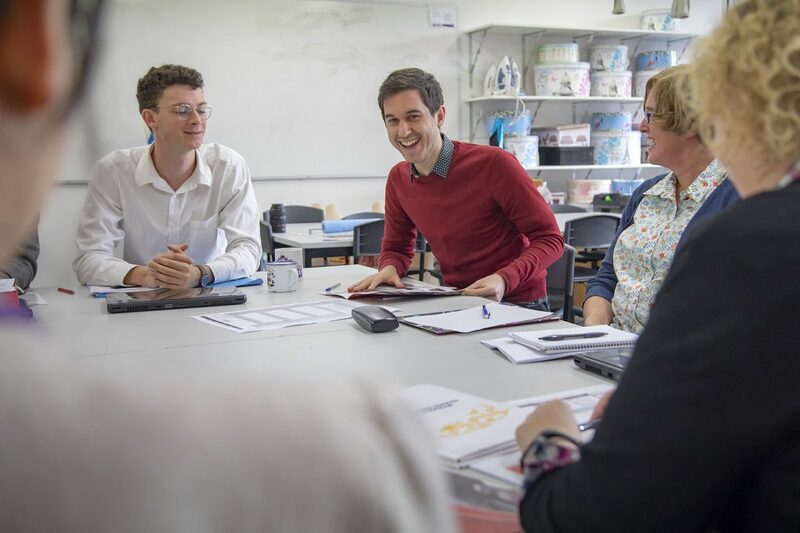 At Northcote High School, teachers work collegially to design learning experiences that enhance understanding, promote curiosity and support and extend students. Students are introduced to key concepts through explicit teaching and provided with opportunities to explore concepts individually and collaboratively with their peers in a student centred environment. Our teachers are mindful that twenty-first century learners require skills, dispositions and knowledge to contribute as successful citizens in an increasingly globalised world, because of this, teachers design opportunities for students to see the applicability of their learning within our world. In Year 7 and 8, we teach the Victorian Curriculum F–10, which sets out what every student should learn during their first 11 years of schooling. The curriculum is the common set of knowledge and skills required by students for life-long learning, social development and active and informed citizenship. The Victorian Curriculum F–10 incorporates the Australian Curriculum and reflects Victorian priorities and standards. See Year 7 program and Year 8 program for more information. With The Northcote Model, Year 9 and 10 students have the freedom to indicate preferences for courses across the required breadth of learning areas, as well as additional courses in areas of interest. Students can also study a VCE or VET subject in Year 10 and can advance in to Year 10 level courses at Year 9. For more information about The Northcote Model and the curriculum, see Year 9 and 10 program. Students can also elect, as part of their program, to study a Vocational Education and Training (VET) subject. It is possible for Year 11 students to select a VCE subject in their first year and for Year 10 students to take a unit half subject (who have demonstrated ability).​ For more information, see Years 11 and 12 VCE program.